'Cloudy with a Chance of Pain'... regretfully my organisation's name lacks the pun factor (particularly such a good one) but, as a charity which aims to support the whole pain community – people living with pain, their friends and family, researchers, and healthcare professionals – we cannot help but be on the same wavelength. Pain Concern's principle aim is getting information, and the support needed to use it, to all of those whose lives are affected by pain, and so we are always encouraged to see anything which like Cloudy gets pain researchers, clinicians and people affected by pain exchanging ideas and insights, and hopefully capturing the attention of the wider public too. Cloudy participants who share these sentiments may wish to explore the extensive resources we have produced with the philosophy of reaching across the 'pain community'. Our Airing Pain radio series – available through our website and iTunes as a podcast, and broadcast on internet radio station Able Radio – has just reached its 85th episode. Here we explore all aspects of pain, its treatment and its social impact, by talking to people in pain, their families and carers, GPs, pharmacists, physiotherapists, neurologists, psychologists, policy makers, and anyone else working in and around pain. Similarly, we publish Pain Matters, a quarterly magazine that contains news, personal stories, research, commentary and tips for living with chronic pain, which both informs and links together the pain community. We offer a free trial to new readers, and transcripts of most programmes are now available. 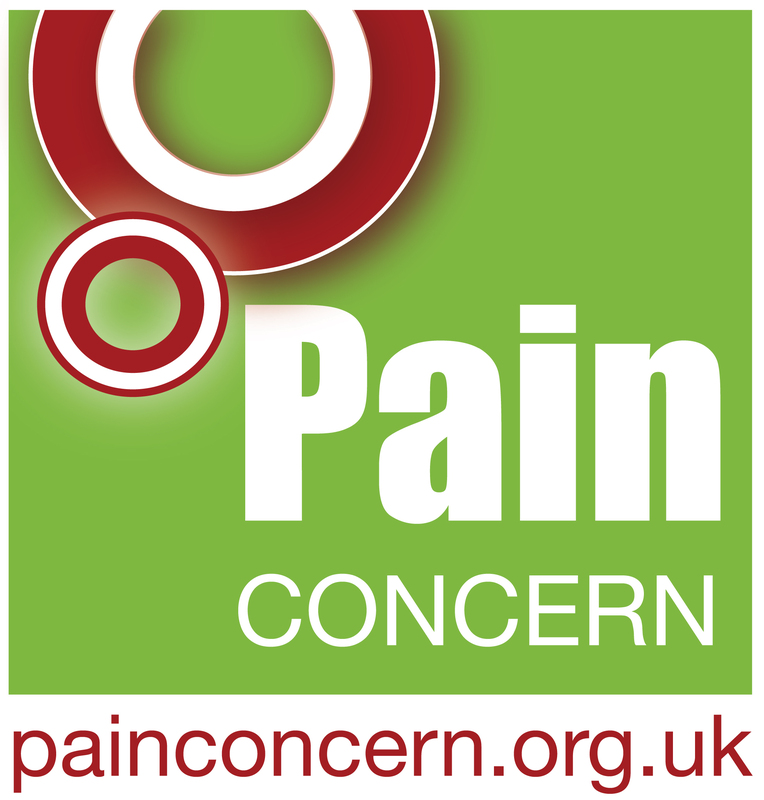 Pain Concern has also produced a wide range of leaflets about chronic pain. Written by leading healthcare professionals, each carries the Information Standard quality mark – the Department of Health-backed scheme for recognising trustworthy healthcare information. Pain Concern also provide support through a helpline (0300 123 0789) that is staffed by fully trained volunteers, and run a forum, hosted by Health Unlocked. We also run pain education classes in Glasgow and hope to expand these more widely in future. In addition to providing pain management support and awareness-raising, Pain Concern is also engaged in its own research. At the moment we are coming to the end of the first stages of a major two-year project that is exploring the barriers patients face when attempting to access self-management resources for chronic pain in primary care. The research involved speaking to people with chronic pain, their carers and primary healthcare providers, and found that there were four main types of barrier that were obstructing people from accessing self-management resources. These were: patient experiences when in consultation with healthcare providers, the emotional impact of the pain experience on the patient, limited treatment options, and organisational constraints. Follow-up work on this project is now about to begin, and our aim is that clearer knowledge about the barriers faced by patients will inform interventions that will help more people to better self-manage their chronic pain. Further information about the project, including videos explaining the value of self-management and the full research study report, can be found here. To access Pain Concern's resources and to find out more about their work visit www.painconcern.org.uk. Written by Editor in Chief of Pain Matters magazine, Tom Green.